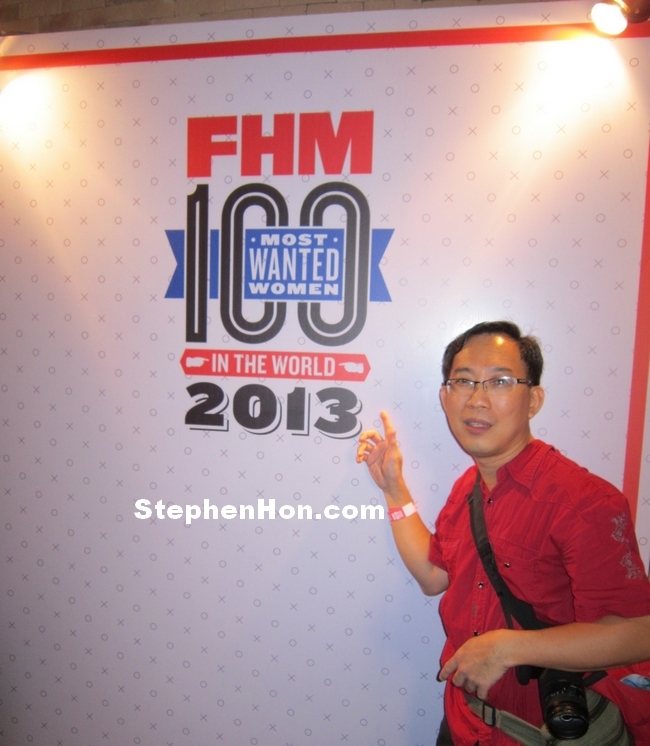 FHM 100 Most Wanted Archives - Stephen Hon ESBI - Which Quadrant Are You In? With the help of Waze Apps, I arrived at the Capricorn Club 7.05pm. Some early birds have arrived and queing to register. Not many people there yet. I guessed some on the way and some stucked at traffic jam. It still early for any function to begin. The theme for this year FHM 100 Most Wanted Women In The World 2014 is “Get Down And Dirty” Google search from my smartphone shown that there are 108 million results base on this keywords. You may wondering what the heck I am putting these up here. Well, the answer I can give to you is for SEO (Search Engine Optimazation) purpose. Isn’t it tonight is party time? Yeah! Let Party! Let Get Down And Dirty! When I passed by a bookstore nearby my place I lived, this magazine caught my attention. I decided to buy not because it is a magazine for men but it is because of the free entrance ticket to FHM 100 Most Wanted Women In The World 2014 event. 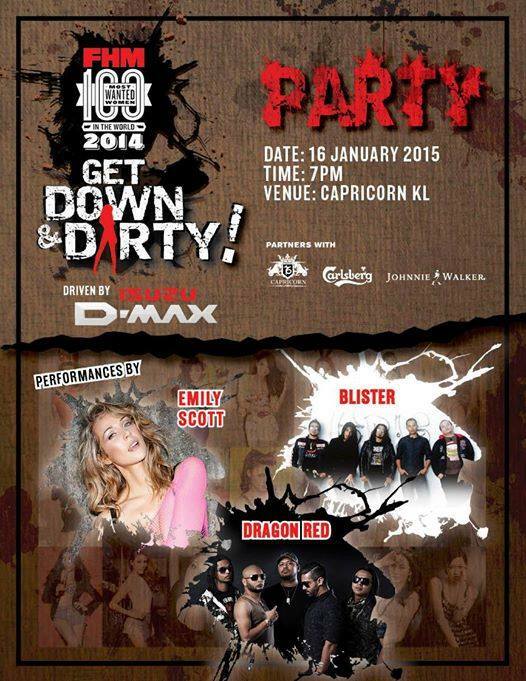 It is scheduled to be held in Capricorn Club, Kuala Lumpur. This is an event I like to look forward very much. 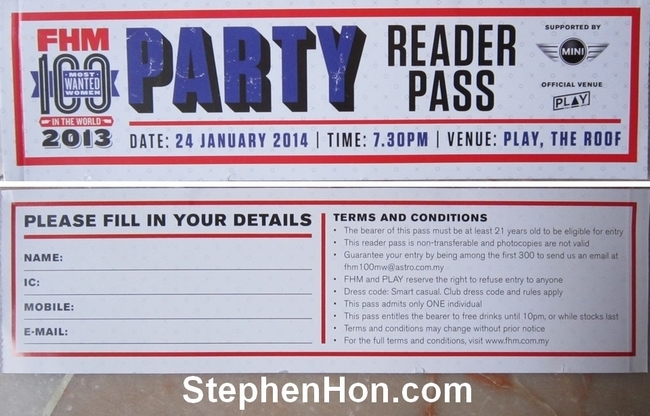 It a good bargain as it only cost RM 10 and I can see some beautiful women in the club on January 16th, 2015 Friday night. I am lucky today to get hold of this copy as normally a magazine with free entrance ticket to an event can be sold out very fast like hot cake. I can see that the shop owner did stock up quite a number of it. Past few years it is quite hard for me to buy it from the bookshop. I used to hunt for it at petrol kiosk around the surrounding area. After I bought this magazine, I called my friend, TK Leong to check if he have the magazine as well. If he have bought it that mean he will coming to the event that day. If can have him there is good for me and good for him too as we can help each other to take photos with beautiful women. I hate being around pretty women when I cannot take pictures with them. If I am alone mean that I can only take pictures of these women (minus me standing beside them) that a waste!. Not mean that I cannot ask any audiences there to snap it for me but it just troublesome. Believe it or not, these people sometime just don’t know how to handle camera. What a suppose to be a good and beautiful picture turned ugly when they press the snap button without checking the image whether it is really focus or blur.